Soaring above the beach on a parasailing adventure; discovering magical marine life in the deep; riding waves on spectacular beaches - in Lanzarote you can do it all. This Canary Island is absolutely perfect for anyone after a beach-based holiday that involves a little more than laying on the sand - and I've got some great tips in store for you. My first is that it's well worth bearing in mind that plenty of the island's hotels and resorts will either offer water sports onsite or nearby, while others might even throw the cost of these in with all-inclusive packages - http://www.sovereign.com/ is a good site to check out for examples. Plus, there are loads of water sports centres dotted around Lanzarote, many of which specialise in individual sports, and these are well worth looking into if you fancy learning something from scratch. My next tips are all about what you can actually do while you're here - prepare to feel inspired! Thanks to its combination of warm water year-round (averaging 20 degrees C), visibility of up to 40 m and fantastic variety of both marine life and landscapes, Lanzarote is a scuba diver's paradise. What I love about diving here is that there are so many different kinds of dive to try - and that there's plenty out there for beginners as well as those with experience. 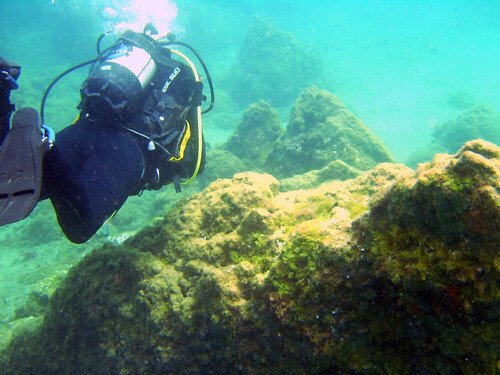 For instance, a good spot for novices is Playa Chica Reef at 6 to 16 m, while Chaco de Palo (12 to 35 m) gives the seasoned divers among you the chance to explore atmospheric caves. In terms of scuba diving companies, there are several to choose from, including the Aquatic Diving Centre (which is based on Costa Teguise) and Canary Island Dives, which you'll find at Puerto del Carmen. If you'd rather keep your head above water (well, most of the time anyway! ), then give surfing a go. This sport is actually easier to pick up than you might think, and it's particularly great fun to learn with friends or family. Famara is a decent beach for beginners to head to, and you'll find it on the north-west coast. By the way, this is a particularly pretty beach, so I'd recommend spending a few hours here even if you don't plan to surf. Those after something more challenging can make their way to La Santa on the north coast to chase some of the island's most famous waves, like La Izquierda and Quemao. 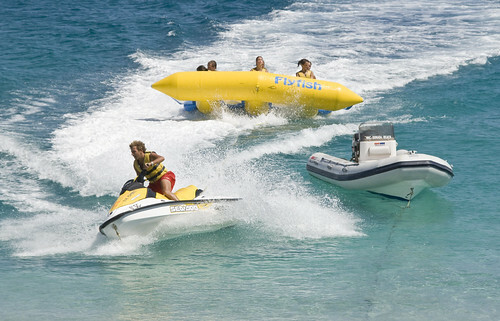 If you fancy cranking the adrenaline up a notch, wakeboarding, jet skiing and parasailing are great activities to try - and local water sports centres often specialise in all three (Aquaticket Lanzarote and Paracraft Lanzarote are two examples). What I love about these sports is that they also give you the chance to admire the island from a totally different perspective. This is especially true of parasailing, which'll lift you so far into the air that you can enjoy some impressive vistas across the island's interior, as well as the coast. Water sports aren't the only way to get active on the coast. Lanzarote is an absolutely brilliant place for cycling, particularly as it offers routes for people of all abilities. Hire a road bike and you can pick one of the many dirt roads along the shore to follow, which means you'll have the chance to soak up amazing coastal scenery while you pedal. Plus, the ultra-sporty among you can always stop off for a quick swim whenever the urge takes you. Cycle hire companies include Papagayo, which has two centres on the island. You'll find one on Costa Teguise and the other on Costa Blanca.